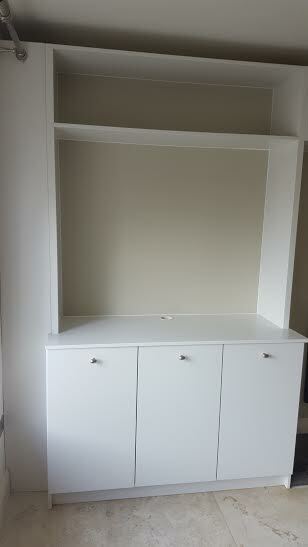 This TV unit Farrow and Ball Brilliant white. 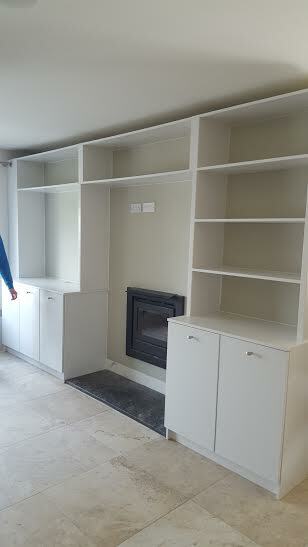 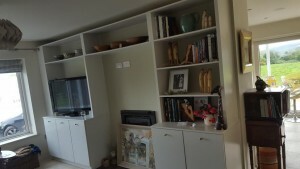 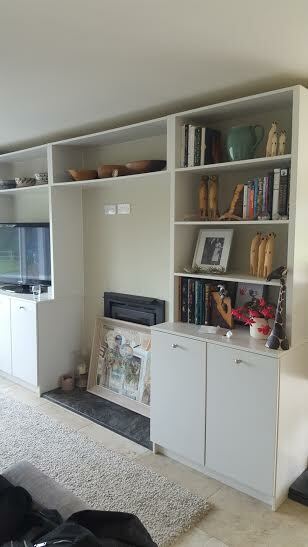 It also has book shelves and deep bin drawers for firewood on one side and shelves on the other base unit. 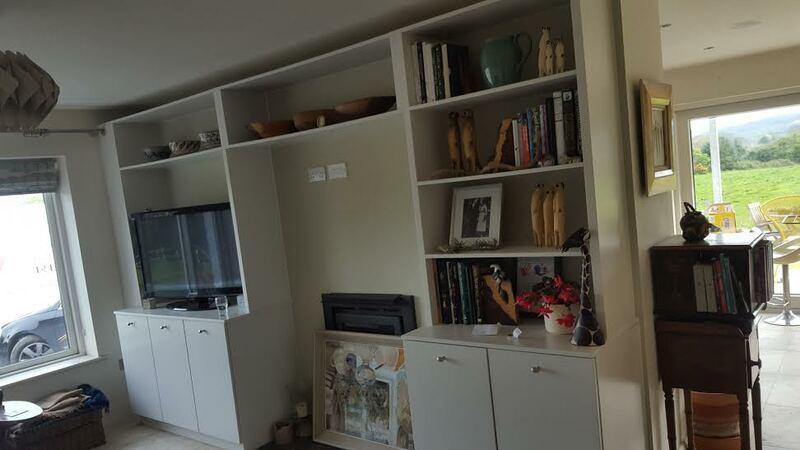 The customer gave me a picture of a unit she liked so i took that picture drew up my own design and with a bit of tooing and frowing we came up with this final design. 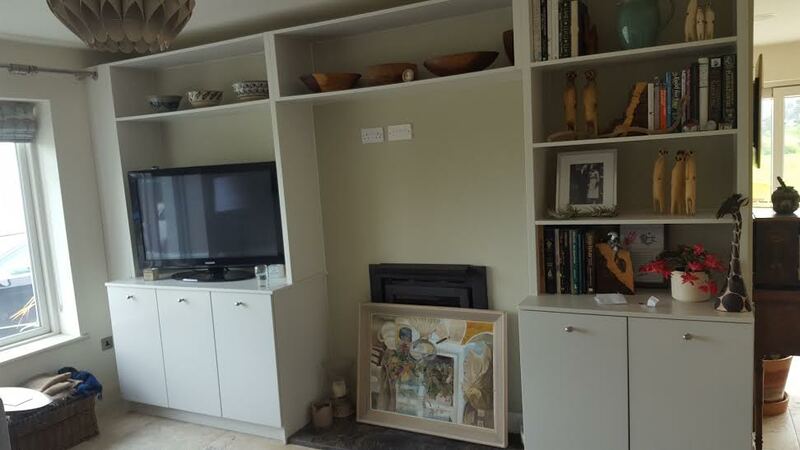 There is no backs on the bookshelves as i think the contrast between the Farrow and Ball brilliant white tv unit and the painted wall really brings the best out of the colours. 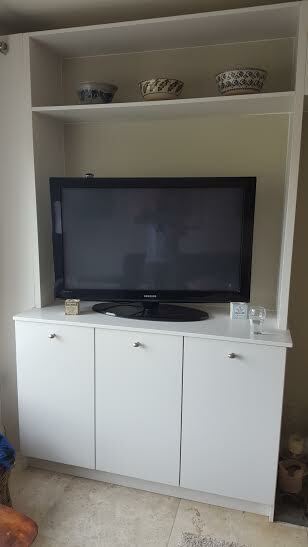 A TV unit fitting for any fine home. 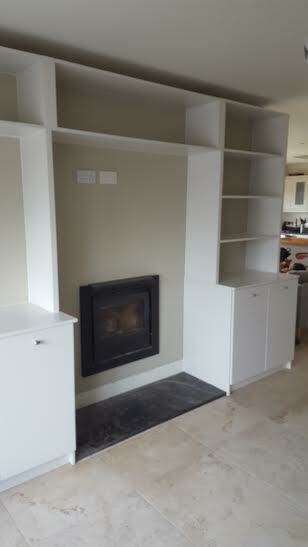 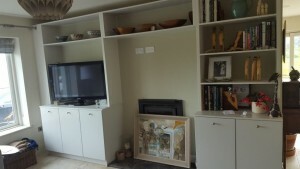 Fitted in Brittas Bay, Wicklow.